Keeping up with the latest changes to search engines is tough. Especially when Google changes every day. What’s more, Google’s ten blue links don’t drive as much organic traffic as they used to. Why? Because of new SERP features. These new SERP features – SERP is shorthand for search engine results page – have improved the experience for users, but they’re also making the game more complicated for businesses. And if you want to win the top spot in the search results, you need to fully understand the rules of the game. In this article, you’ll learn what SERPs, SEO, and SEM are. Plus, you’ll acquire a rock-solid understanding of the many Google SERP features in play in 2018. What Exactly is an SERP? Short for search engine results page, SERP is a single page that search engines serve in response to a user’s search query. The term SERP isn’t unique to any specific search engine — Google, Bing, and Yahoo all serve SERPs to users. And today, no two SERPs are the same. Instead, they’re personalized for each user. This is why you’ll sometimes see different search results when searching on different devices. Okay, when talking about SERPs or SEO-related topics, we always put the emphasis on Google. Why? Because Google is King. Plus, check out these stats. In April 2018, Google generated 63.5 percent of all core search queries in the United States — followed by Microsoft Sites at 24 percent, and Oath (formerly Yahoo) at 11.4 percent. And when it comes to the mobile search market in the United States, Google leads again with a massive 93 percent market share. Google’s dominance is even more prevalent in many other huge markets, such as the UK and Germany, where market Google’s market share is more like 85 to 90%. The most effective SERP marketing strategies use both SEO and SEM to achieve their business goals. SEO stands for search engine optimization and is the process of achieving a high rank in the SERPs organically. Organic means that no paid methods are used, such as Google AdWords. There are many strategies and techniques in SEO. Two of the main tactics are content marketing, and building backlinks. With content marketing, marketers will create content that is likely to rank well for a specific keyword, giving them a higher position and max exposure in the SERPs. They’ll also attempt to build a backlink profile with websites that have a high domain authority. In other words, marketers will try to get websites that Google trusts to link to their content – which will improve the domain authority (and SERP rankings) of their own website. Let’s be honest: It takes a lot of time, dedication, and expertise to climb to the top of the SERPs through organic SEO. However, the results can be well worth the struggle. Well, on the first page of Google alone, the first five organic results account for 67.60 percent of the clicks, while the results from 6 to 10 account for only 3.73 percent. What’s more, high-ranking organic content will usually maintain its position in the SERPs for an extended period of time — with none of the ongoing costs associated with paid listings. SEM stands for search engine marketing and is the process of acquiring traffic from search engines through the use of paid listings and advertisements. One of the most common SEM channels is Google AdWords. These paid listings appear on Google above and below organic search results, as well as in the sidebar. Each paid listing is driven by targeted keywords, and marketers are usually charged for each click they receive on each of their ads — hence the name, pay-per-click, or PPC. Now, while paid results might not have the staying power as organic listings, paid results do have their benefits. Firstly, return on investment (ROI) is delivered much faster. With a well-targeted Google AdWords campaign, you can jump straight to the top of the SERPs and expose your business to highly targeted customers. What’s more, although paid results aren’t likely to see click-through rates (CTR) as high as organic listings, Google PPC ads see a 2% CTR on average, and those that do click are often closer to converting into customers. Paid results also come with a suite of analytics that can help to provide a clear path to higher CTRs and conversions. And this knowledge is invaluable when optimizing your SEO efforts. That’s why the best SERP marketing combines both SEO and SEM. A SERP feature is any form of listing on a search engine results page that is not a standard organic result. These features are designed to provide a better experience for searchers by tailoring each SERP to display more relevant and detailed information. Clearly, a lot has changed. Today, Google’s SERPs are far more helpful, relevant, and accurate. Google is trying to shorten the amount of time and effort it takes users to find what they’re looking for. Google is constantly improving SERP features and adding new ones. This means that today, there’s a huge variety of ways to get your business to the top of the SERPs. Google doesn’t provide credit to the sources of rich answers because they say that the information is part of the public domain. A rich result (previously known as a rich snippet) is similar to a normal Google SERP listing, except it contains more information than the standard title, meta description, and URL. The additional information is often customer ratings, prices, or additional links. Website operators can add structured data markup such as Schema.org to optimize their content for Google’s rich results. Rich cards are simply a mobile-friendly version of rich results. Knowledge graphs are displayed above organic results or in the right-hand sidebar. They often include images, facts, maps, and related search topics. This SERP feature is often shown for queries about certain topics, places, or people. To create knowledge graphs, Google pulls information from their own data from services like Google Maps, as well as external sources such as Wikipedia. Knowledge panels are almost identical to knowledge graphs, except that Google will only pull information from Google Maps or My Business listings. For this reason, knowledge panels are shown for queries about brands, businesses, or organizations. Knowledge panels often include images, facts, social media links, and related searches. A local 3-pack is a SERP feature containing a map and a list of three local businesses as rich results. Local 3-packs are usually shown for queries about nearby businesses or organizations. Users searching for local businesses often have a high commercial intent. So, scoring a position in a local 3-pack can do wonders for bringing in new customers. This SERP feature is displayed for any search query that specifically refers to images, or would benefit from visual results. Unfortunately for businesses, when a user clicks on an image, they’ll be taken to Google Images, not the website that the image is from. This SERP feature provides an expanded group of links from a specific domain. Site links are usually shown when a user searches for a specific organization or website. Google’s aim is to allow users to navigate directly to the website page they’re seeking. The image below shows site links for different pages on the Oberlo website. Vertical search appears at the top of the page when Google needs to pull information from many different categories, such as images, video, or news. This SERP feature is typically shown for queries about topics or locations. “People also ask” boxes contain related questions to help users further explore a topic. They’re very common and often shown for a search query that is a direct question. This SERP feature is a carousel of the three most recent tweets from a Twitter account. The tweets displayed can include images and links. Users can also scroll to the right to view additional tweets from the account. According to Ahrefs, 99.58% of featured snippets are pulled from pages that already rank in the top ten positions in the SERPs. So to stand a chance of achieving position 0, businesses must already rank highly in the SERPs. To create paragraph featured snippets, Google pulls text and sometimes an image from a page in an attempt to answer the searcher’s question directly within the SERPs. This SERP feature usually ranks items by number or lists instructions that explain how to do something. This search feature is almost identical to numbered list featured snippets, except the list is simply bulleted instead. These featured snippets are often shown for unranked lists and the information shown is often pulled from listicle articles. This SERP feature displays images above a table containing information such as statistics and rankings. These tables will often change in size and layout depending on the search query. And Google will even pull information from more than one source to create their own SERP table featured snippet. This SERP feature is pulled from YouTube and often shows a specific clip from a video. YouTube featured snippets are often returned for “how to” questions, or any query best answered in video form. Also, Google will sometimes display a carousel of three YouTube videos like in the image below. And similar to the top stories SERP feature, users can scroll right to view more related videos. Okay, now that we’ve covered all of the main organic SERP features, let’s take a look at the two types of paid Google SERP features in 2018. 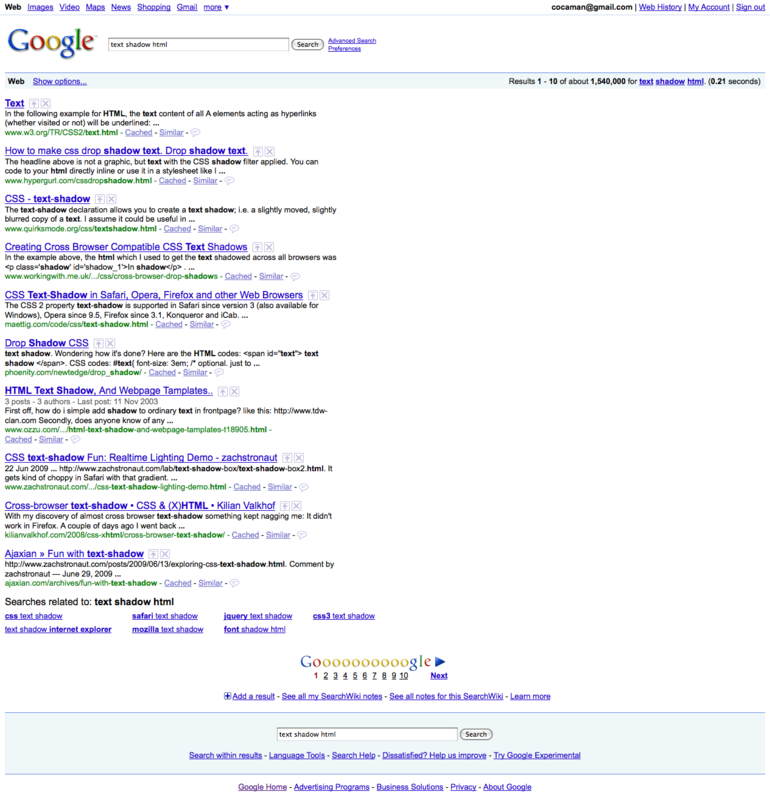 The four most coveted ad positions are above the organic results at the top of the SERPs. However, Google also displays paid listings below organic results at the bottom of the page. Understandably, these have lower click-through rates and consequently, are less expensive to purchase. The second paid Google SERP features is shopping results. These are returned for queries that are highly related to products, and these users typically have a high commercial intent. Paid shopping results are comprised of multiple product listings. Each listing will usually contain the product’s title, image, seller’s name, and customer ratings. That brings us to the end of our guide to Google’s SERPs in 2018! By now you should understand what SERPs, SEO, and SEM are, as well as the various Google SERP features available. And the best SERP marketing strategies use the two in conjunction to maximize traffic from the SERPs. Moving forward, you can learn more about organic SEO in our guide to Google’s featured snippets, and you can learn more about paid SEM in our guide to Google shopping ads. Which form of SERP marketing is your business currently most reliant on, SEO or SEM? Let us know in the comments below!